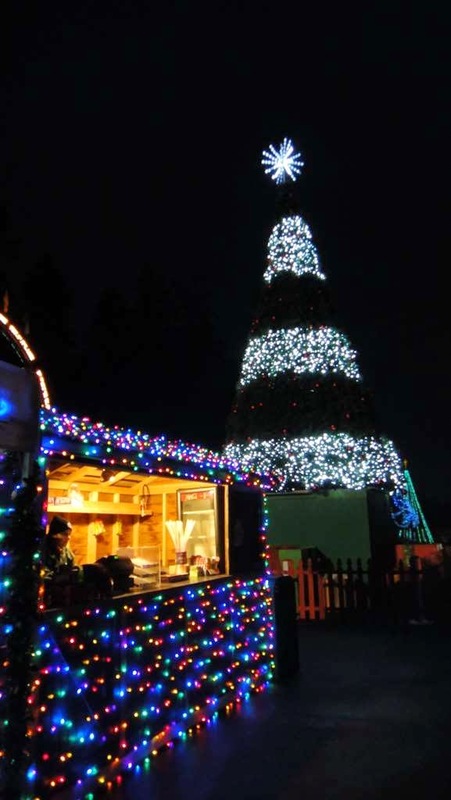 In 2012, Downtown Decorations began working with Wild Waves Theme Park in Federal Way, Washington. Wild Waves, which originally opened as The Enchanted Village in 1977, is the largest combination water park and amusement park in the entire Pacific Northwest. Thousands flock to the theme park each year to enjoy thrill rides, water slides and entertainment. In addition to all of the summer fun, the park stays open in December and January for the Wild Waves Theme Park Holiday with Lights. During this time, the park transforms into a glowing wonderland, featuring over 1 million lights. In the center of all of the holiday décor stands a giant tree from Downtown Decorations. 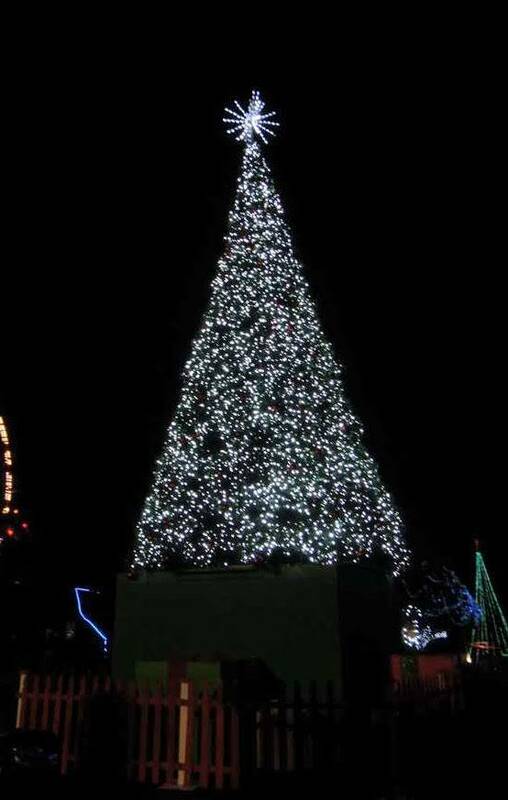 In 2012, we designed the huge 24 ft. tree lit with almost 10,000 cool white lights. On top of that, we produced a 4 ft. snowburst topper to add some additional pop. Officials at Wild Waves loved the tree so much that they wanted to add more of it in 2013. Since all of Downtown Decorations' trees are completely customizable, we were able to create a 6 ft. extension, bringing the tree to 30 ft. in height.